In the church of social media, there is no concept more sacrosanct than that of public consumer sentiment. In the social era, the gold of the realm is no longer the number of impressions made by your ads but the number of impressions created peer to peer. With brand praise and gripes broadcast to hundreds of friends and followers, public opinion has never been more public, so brands must bow before alter of social media sentiment. That is the party line among social media professionals, but does it stand up to scrutiny? While it may seem heretical to say, I believe there is ample evidence social media sentiment does not matter equally in every industry to every company in every situation. By focusing attention and altering corporate behaviors where it matters, we might better change sentiment in ways that protect and enhance the bottom line. Before you sharpen your knives, let's define what social media sentiment is and is not. In our highly networked world, we are exposed to more people saying more about brands than ever in the past, but do all those exposures influence purchase decisions as much as we seem to believe? Clearly individual sentiment matters--what you think about a brand affects your own decisions--but how much do the opinions of crowds impact your buying behaviors? In 2010, Harris Interactive released a list of most and least respected companies. Given how networked we were in the intervening two years, it stands to reason that all the buzz shared about the most respected companies would be lifting those stocks while the anger and frustration directed at the least respected firms would be evident in depressed share prices. Of the ten most respected companies, seven are, in fact, on the list of the United States' 50 most profitable corporations, but so are five of the least respected. Moreover, in the last twelve months, the seven publicly traded companies on the 2010 "least respected" list have outperformed the DJIA by more than 200%. The fact so many people dislike these companies and share those feelings online does not seem to dent the financial success of these firms. Scan the list of the most hated companies in America according to the American Customer Satisfaction Index and you will see that certain industry segments seem immune to the power of consumer sentiment. Corporations in cable and internet service, banking, power and airlines, many of which are among the most profitable companies in the U.S., dominate that list. How can these industries be continuing to thrive in the social era despite the negative public sentiment? They share some commonalities that help to inoculate them from the dangers of negative sentiment--they are capital intensive, highly regulated industries with limited competition and have both great barriers to entry for new competitors and high switching costs for consumers. Other factors may also be at play. For example, banks often make the lion share of their money off a small minority of their customers. Bank of America suffered what should have been a damaging blow to its business results due to the wave of negative sentiment associated with Bank Transfer Day, but BoA seemed to emerge not just unscathed but stronger for it. At least part of the reason the bank did so well is that the lowest-profit, highest-cost customers likely were the ones who abandoned BoA for credit unions. In other words, not all sentiment is equal in a vertical where customer contribution to the bottom line is wildly unequal. Even within some industries, it can be impossible to see the impact of sentiment on business results. Look at the retail vertical, where the ACSI tells us Nordstrom, J.C. Penney and Kohl's enjoy customer satisfaction rates well above average while Walmart not only anchors the bottom of the list by a substantial margin but actually saw a decrease in satisfaction in the prior twelve months. Now look at the stock performance of these retailers in the past year--J.C. Penney is the worst performing stock of the bunch, Kohl's is one of the few with a stock price down in the past year and Nordstrom's stock performance is in the middle of the pack. Despised Walmart? Its stock is up more in the past year than the three retailers with the strongest customer satisfaction ratings. Many hate shopping at Walmart, but apparently low prices trump sentiment, reputation and customer satisfaction. Obviously, a year or two of stock performance and social media sentiment data is not a lengthy enough period to evaluate the interrelationship. Strong negative sentiment is not an explosion that tears apart the financial foundation of a company but is more like a river that wears it away over long periods. Nevertheless, some of the most hated companies have been hated for many years and remain solidly in the black--the consistent revenue and profitability of AT&T, Comcast, Walmart and others seem to mock our current obsession with public sentiment. It is easy to understand why the adoption of social media caused us to worry more about the public sentiment around our brands, but step back and ask yourself what has really changed. People's perceptions of companies such as McDonald's, Walmart or Comcast did not change simply because Facebook was adopted by a billion people on the planet, nor were the attitudes of these brands shrouded in secrecy until Twitter ripped the blinders from our eyes. Did anyone really get on Twitter, see what people are saying and think, "Holy cow--I had no idea people find shopping at Walmart a bit unpleasant, that cable companies offer poor customer service or that McDonald's serves food of dubious health value"? Did you see the video that surfaced last holiday season of a delivery person throwing a computer monitor box over a customer's fence? Which delivery service was it, and did you purposely stop using them after seeing the clip? Answers: FedEx and no. How many times have you seen United Breaks Guitars? Because you saw Dave Carroll's United experience have you chosen a more expensive or less convenient itinerary to avoid flying on United? Answer: No. And on the positive side of sentiment, how many of you heard Peter Shankman's story of Morton's Steakhouse delivering a steak dinner to him at the Newark airport in response to a tweet? It is a delightful story that has been retold via social media many times. I am sure it cemented Peter's loyalty for life, but did you run out to a Morton's Steakhouse because of Peter's experience? Do you think if you tweeted out a request, the restaurant would chase you with free meat? No and no. In December 2010, Dell created waves with a social media command center that would make NORAD blush--and since then the stock is down 33% and the company is now facing layoffs. The first brand I recall launching its own command center to listen and respond to social media sentiment was Gatorade, but while the brand's marketing lifted sales for a while, it has continued to lose market share to Powerade. Remember Twelpforce, Best Buy's all-hands-on-deck push to respond to public comments and questions on Twitter? It launched in mid 2009 to much praise and is still going strong on Twitter, yet since Twelpforce was deployed, Best Buy's stock is down two-thirds while the DJIA has climbed nearly 50%. Social media sentiment has been elevated to God-like status when really it is more of a minor deity. In most situations, what others are saying does not trump our own personal experiences. Nor does it trump our laziness and the costs of switching (or even our own well-worn habits) in the vast majority of cases. In addition, while public sentiment may be a factor in our purchase decisions, we weigh it against many other important factors such as price, convenience, perception of quality, etc. Let's face it, we all expect brands to disappoint us some of the time, so individual complaints we see on Twitter or Facebook become part of the fog of social media sentiment--none of us have the brain cells to receive, store, recall and evaluate every gripe we see on social media. Hell, I can barely recall my own gripes! I know I have tweeted complaints about airlines, but I couldn't tell you if I have shared more criticism about United, US Airways or Delta. Like most consumers, I continue to fly the same airlines (and gripe about them) because they have the routes and prices I need. Carefully Considered, Non-Recurring Purchases: Few people seek out ratings and reviews for toothpaste, toilet paper and other low-consideration purchases, but does anyone take a vacation, buy a TV or purchase a car without reading and considering customer reviews, any longer? Electronics manufacturers, hotels, automakers and even restaurants (most notably in travel destinations) need to be concerned with their social media sentiment; for example, one 2011 study demonstrated that a one-star increase on Yelp leads to a 5 to 9 percent increase in revenue for restaurants. According to another study, 87 percent say that hotel reviews help them feel more confident that they are making the right decisions. One way to improve ratings is merely to be responsive to customers' ratings and reviews--one travel destination that began monitoring and responding to reviews saw traffic triple and direct revenue double from TripAdvisor in a one-year period. Companies in these industries are also being more proactive, focusing on improving the customer experience, actively seeking consumer input to enhance service and listening for and resolving problems. One bank customer experience team noted a high number of requests for reset PIN numbers on new debit cards and proactively made a change to the timing of PIN mailings, instantly decreasing these requests by 54 percent. Product and Service Changes: Social media sentiment drives a great deal of timely attention around newsworthy events. That is what Bank of America learned when it tried to increase fees on debit cards; as noted earlier, the bank may not have suffered financial ramifications from its painful social PR event, but the raging public sentiment did force the bank to rescind its decision in embarrassingly public fashion. BoA is hardly alone--other brands (such as Gap, Tropicana and Netflix) have suffered uprisings when they surprised customers with unwelcome changes to products and service. Brands cannot conduct business the same old way, making unilateral decisions and preparing to respond to complainers. More and more, companies are recognizing the need to involve customers in decisions and enlisting their aid to deliver the message. Barclays offers a wonderful example of this new approach--the company recently issued a new credit card, but instead of dictating fees and policies, it is crowdsourcing them. The result was a 25 percent drop in the card's servicing cost compared to other Barclays cards. Corporate Practices: While others' gripes about the quality of a product or service may get negligible attention, little gets people so easily worked up as a heartless corporation destroying our planet, taking advantage of employees or doing the wrong thing for customers. An insurance company made your friend wait on hold for fifteen minutes? Yawn. But an insurance company that legally supports the person who killed a family member who paid the insurance premiums? Outrage! We all can excuse the occasional product or service disappointment, but when Mattel is accused of deforestation or Walmart sues a brain-damaged employee, thousands of angry customers will take action and make their voices heard. Little a company does is private and opaque any longer, so increasingly companies are making decisions not only based on financial and legal criteria but also on how consumers may react. "In the court of public opinion, no one cares that it’s legal or if the regulator approved it," says Robert Hunter, the director of insurance at the Consumer Federation of America. Rather than focus on collecting fans with another sweepstakes, brands that want to make a real change and decrease their risks in the social era must identify their most risky corporate practices and change them (or proactively communicate better about them) before they are outed in agonizingly publish fashion. Time-Sensitive Products: Social media sentiment becomes more important in key moments of time for certain sorts of brands. A movie opening or new album from a music artist lives and dies on what consumers have to say online in mere days. The same is true of new products--the social media sentiment in the weeks following a product launch can help to make or break its chances. Once again, the solution is not to prepare for consumer reaction and hope for the best but to engage people along the route. Movie studios have found social media campaigns can be a mixed bag--"Snakes on a Plane" used crowdsourcing to get a whole lot of people talking but very few showed up at theaters, while the social media campaign for the documentary "Bully" helped the producers earn a favorable rating from the MPAA and boosted ticket sales. Meanwhile, many consumer brands are crowdsourcing product development to produce better products and give consumers a sense of ownership in their success--Lego is a leader in this, involving customers in new product decisions. Local business: Finally, social media sentiment can particularly help to make or break a small, locally owned business. One recent study found that Facebook and Twitter drive more than half of all referred visits for small business sites, three times the percentage of larger sites. It may be hard for tweets and posts to move revenue and profit significantly for a company the size of Bank of America or Comcast at a national level, but for the small boutique or restaurant on the corner, it can make all the difference in the world. There are plenty of places to find examples of small business social media success stories, including TechCrunch, Hubspot and Social Media Examiner. One craft brewer combined national advertising with 250 launch parties across the country to introduce local consumers to its new IPA, and in six weeks the brand achieved its three-month sales goal. Even big companies can get on the local train. If brands come to realize social media sentiment is not as strong a factor for success as we first thought, how should they react? First, they should not pull away from social, because it is becoming a channel of choice for many consumers. Whether or not public sentiment is as powerful as predicted, individual sentiment still matters, and you can no more ignore consumers tweeting your company as you can ignore their phone calls. Secondly, as I have shared on this blog many times, social business and peer-to-peer models are changing products and services themselves. Today we are much too focused on how to tweet and post while ignoring how the social era demands changes in the way we conduct business. Brands that ignore the changing nature of the consumer/brand relationship in the social era may find themselves facing the same fate as those companies who ignored it in the web era. Ask Borders, Kodak, Blockbuster and others how that worked out for them. I had difficulty writing this blog post, because it was hard for me as a social media professional to wrap my head around the idea that social media sentiment may be overvalued. In addition, I knew (and hoped) that this blog post would be subject to criticism among my peers. What do you think? 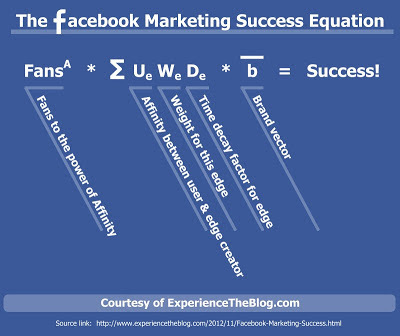 Am I missing key data points and concepts that tie social media sentiment to business results? 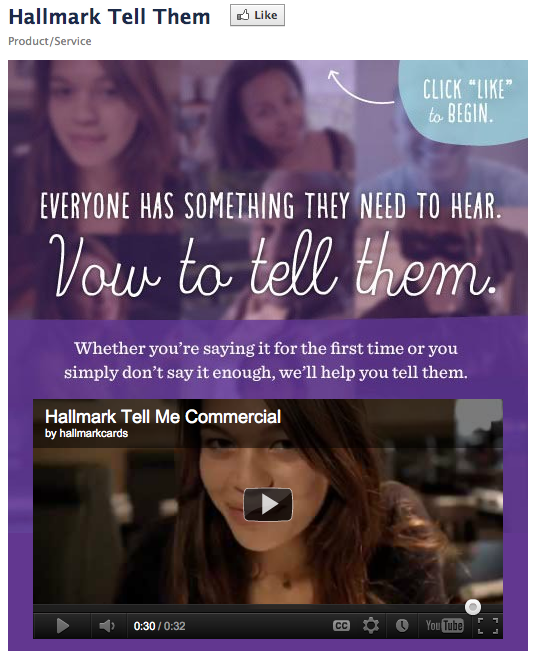 Or are there additional instances when social media sentiment becomes more vital to brands? Your input would be greatly appreciated. 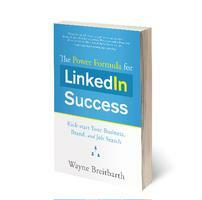 I recently was provided an evaluation copy of The Power Formula for LinkedIn Success by Wayne Breitbarth. I expected to find the book most helpful for those who are not yet fully engaged on LinkedIn, and that is, in fact, the case. That said, the book encouraged me--an experienced social media professional--to consider some LinkedIn features and applications more deeply and make a few tweaks to my own LinkedIn profile. I think most professionals will find something helpful to take away from this book. One of the most interesting parts of the book is the way it explores who you should or should not connect with on LinkedIn. I do it wrong, according to Breitbarth. My strategy has been to connect with people on LinkedIn who I have met professionally either online or in real life; in this way, LinkedIn acts as my cloud-based address book. "LinkedIn Success" posits that connecting with people you know weakly has a cost, diminishing the value of the network; instead, it recommends you connect only with the people you trust and would recommend. In this way, you can have confidence in your ability make trusted recommendations and introductions between any of your connections, and (of course) you hope the same is true for all of your connections' connections. Breitbarth does allow for other use cases, such as recruiters who can benefit from amassing tens of thousands of professional connections. After reading "LinkedIn Success," my impression of my own connecting strategy did not change that much, because I believe different strategies can work for different people. Even though I am not altering my approach to LinkedIn, I appreciate that "LinkedIn Success" encouraged me to consider my goals and strategies, and I think others may get value from the book's thoughtful approach to this topic. The book primarily focuses on the value of building out your professional profile as completely as possible. It contains many good ideas, such as taking the time to review the profiles of your competitors for good (and bad) ideas. "LinkedIn Success" also advises you to take full advantage of every available character in the summary section and offers guidance on the appropriate tone and format. Breitbarth also encourages people to do something that many find difficult--ask for recommendations. 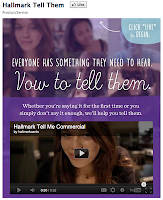 He says, "If you are hesitant to go about getting recommendations, let me ask you this question: Aren't you any good?" If you are--and trust me, you are--then your LinkedIn profile should convey this through the testimonials of others. After reading "LinkedIn Success," I was encouraged to make a few tweaks to my own profile. For example, I had neglected to add the "Events" application to my profile, which is a silly oversight that decreases opportunities to meet others at upcoming events and demonstrate my professional activities at past events. I also added the Box application to my LinkedIn profile as a way of conveying some interesting white papers and documents that I find worthwhile. In short, even though I was pretty darn sure I knew my way around LinkedIn, the book sparked some awareness and action on my part, which I guess says more about the book than any opinion I may convey. 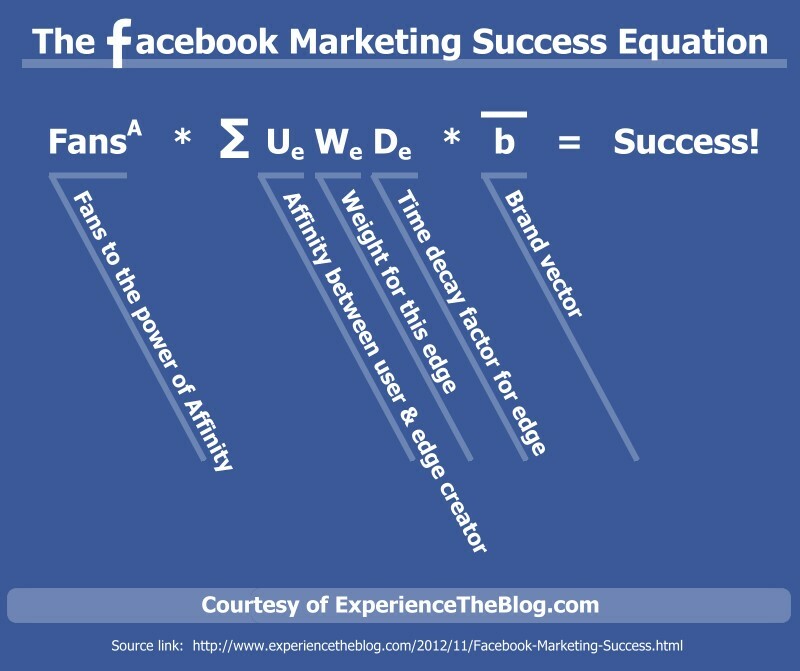 "The Power Formula for LinkedIn Success" has one major shortfall: Despite the fact it is subtitled, "Kick-start Your Business, Brand and Job Search," it gives virtually no advice to brands on how to succeed on LinkedIn. Page after page is dedicated to the personal profile, the search functions, how to participate in groups and individual preference settings, but very little conveyed in "The Power Formula for LinkedIn Success" will help brands understand how to create value on the platform. 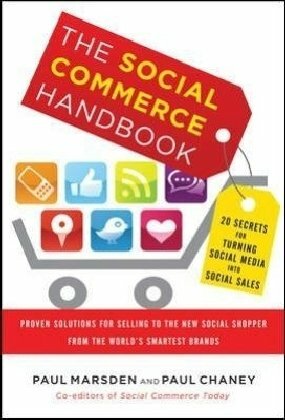 This is a book that may help you polish your social resume, find a job or gain reputation, but it will do little to help your company navigate its way through LinkedIn. If you are just getting started or have always suspected you are not getting what you should from your personal efforts on LinkedIn, I recommend Breitbarth's book. Heck, even if you feel you are a power user, you may find that "LinkedIn Success" provides you a few more tips to build out your LinkedIn presence. You can purchase "The Power Formula for LinkedIn Success" for Kindle and paperback on Amazon.